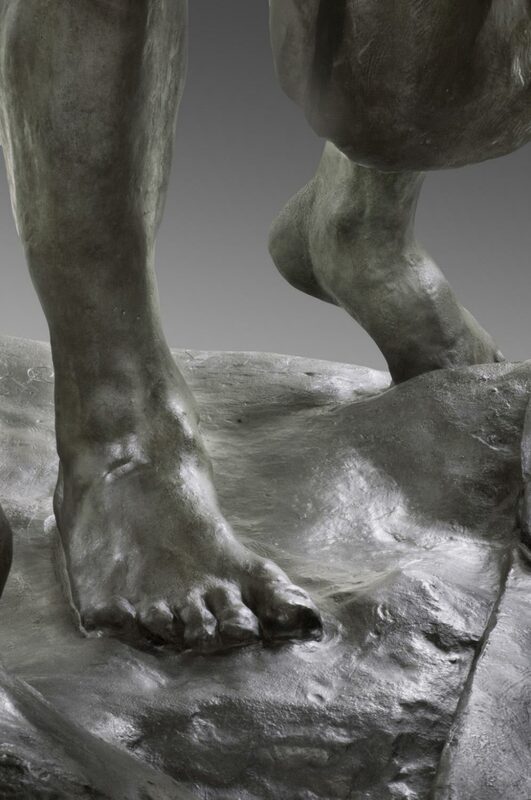 Signed top of base between feet of Jean de Fiennes and Jacques de Wiessant: A. Rodin Foundry mark rear of base to right: ALEXIS. 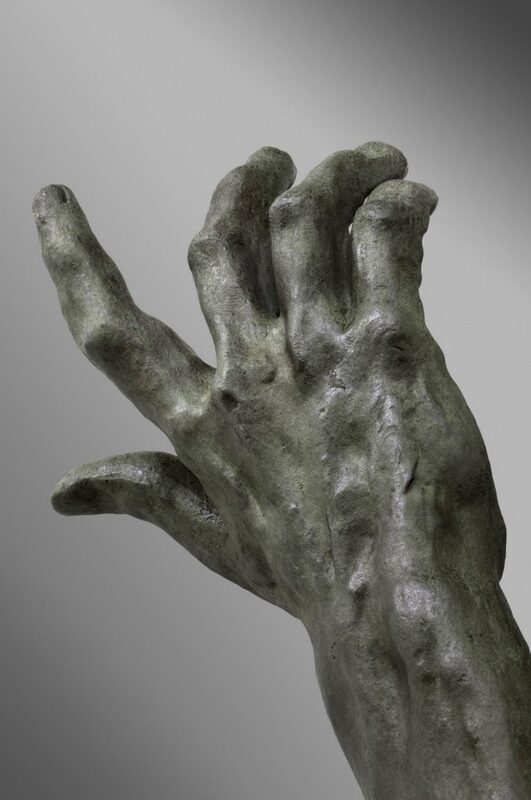 RUDIER. 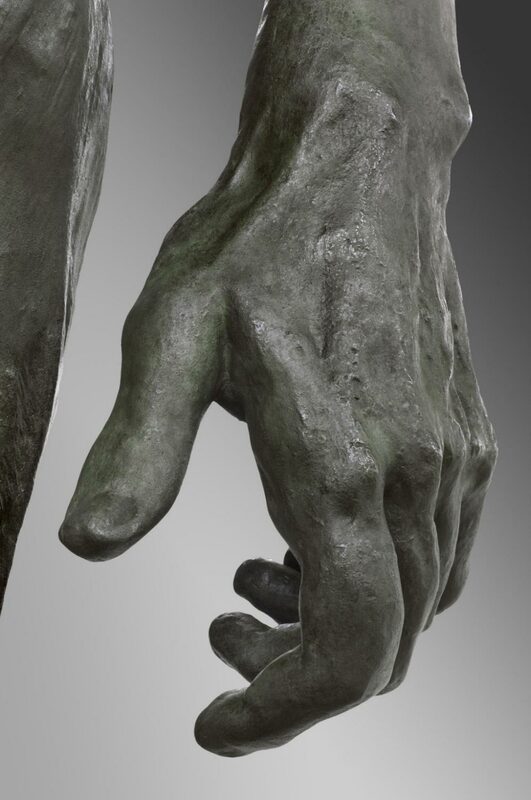 / FONDEUR. 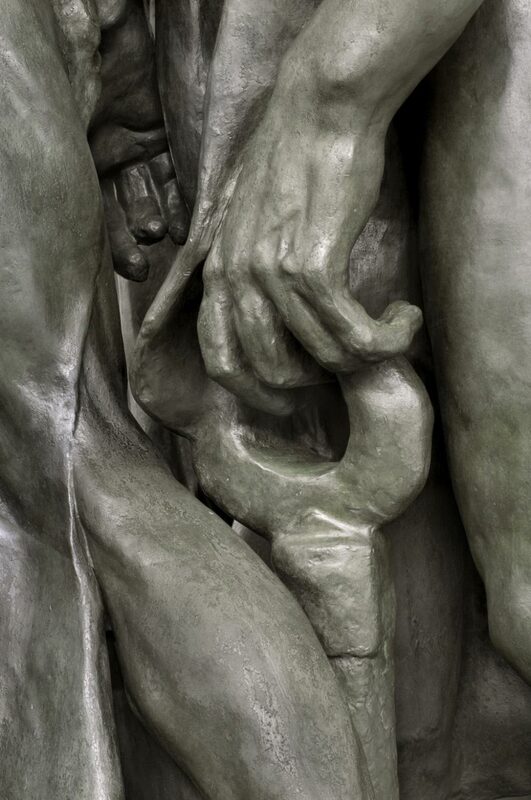 PARIS. 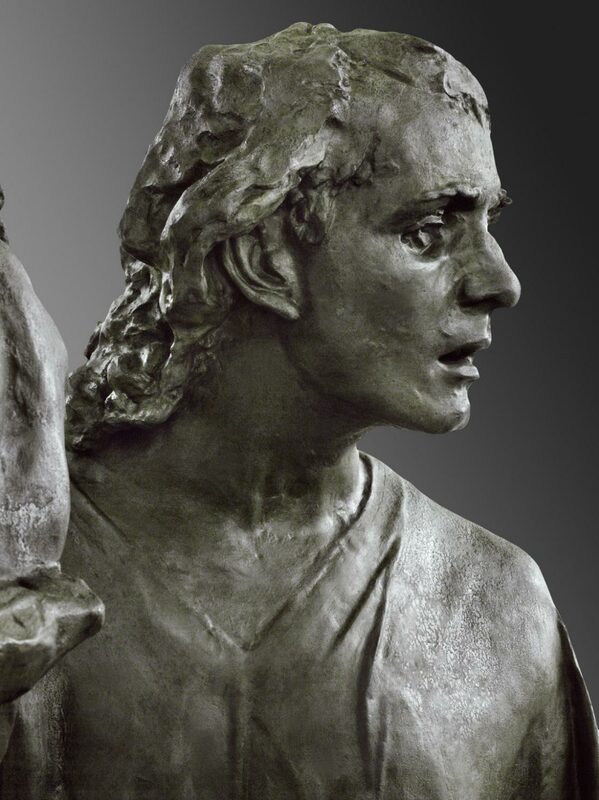 In 1346 the English king Edward III laid siege to the French port of Calais. 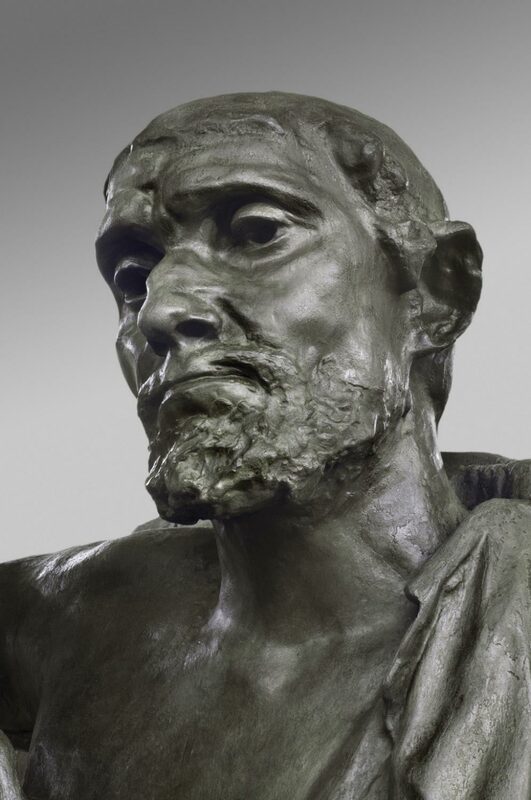 Eleven months later, Edward demanded the surrender of six of the town’s leading men, or burghers, in return for sparing its citizens. 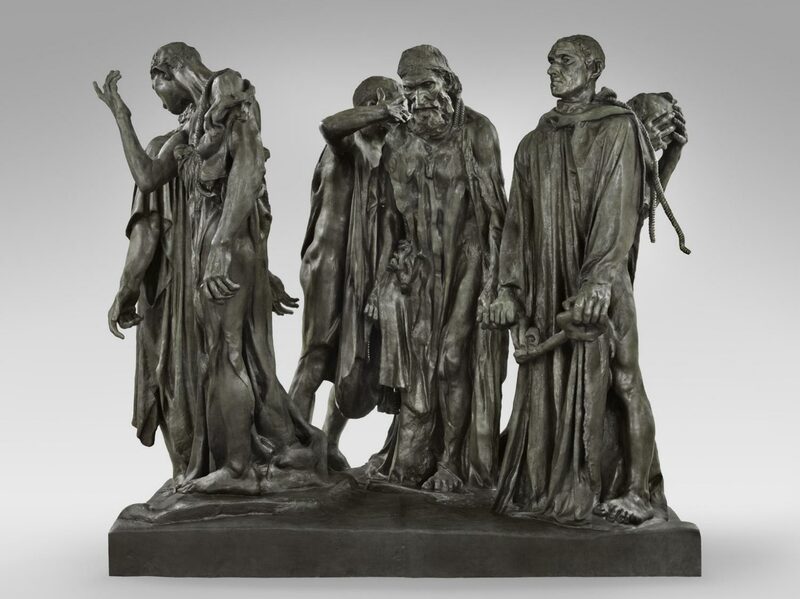 Rodin’s sculpture commemorates this episode and emphasizes the internal struggle of each man as he walks toward his fate wearing a sackcloth and rope halter. 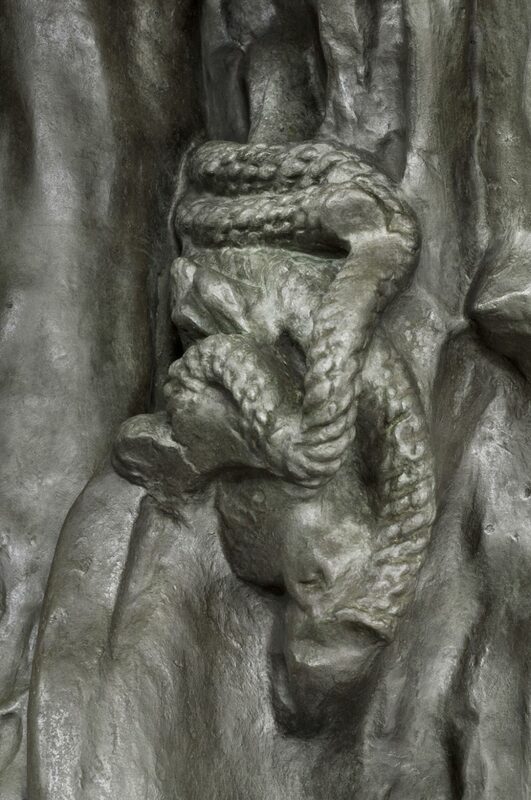 The burghers were later spared thanks to the intervention of the English queen, who feared that their deaths would bring bad luck to her unborn child. 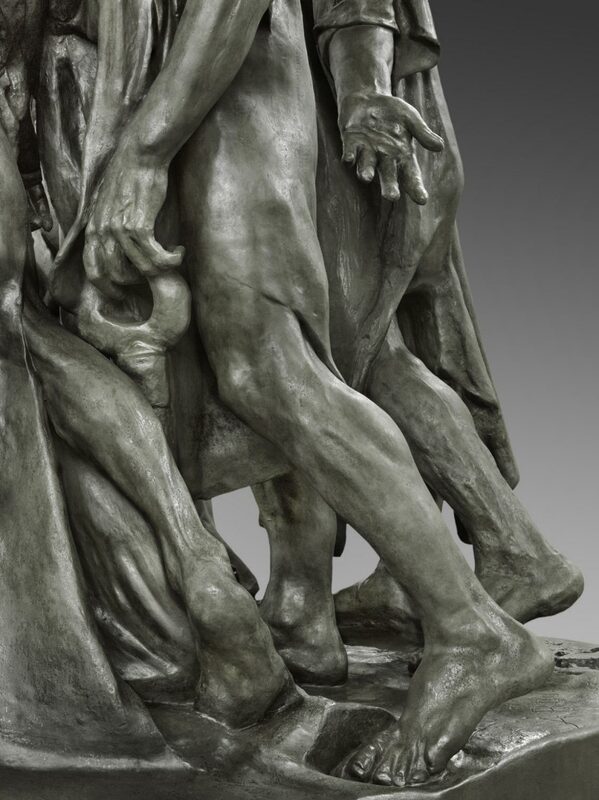 Most nineteenth-century public statues were devoted to a single, heroic figure. 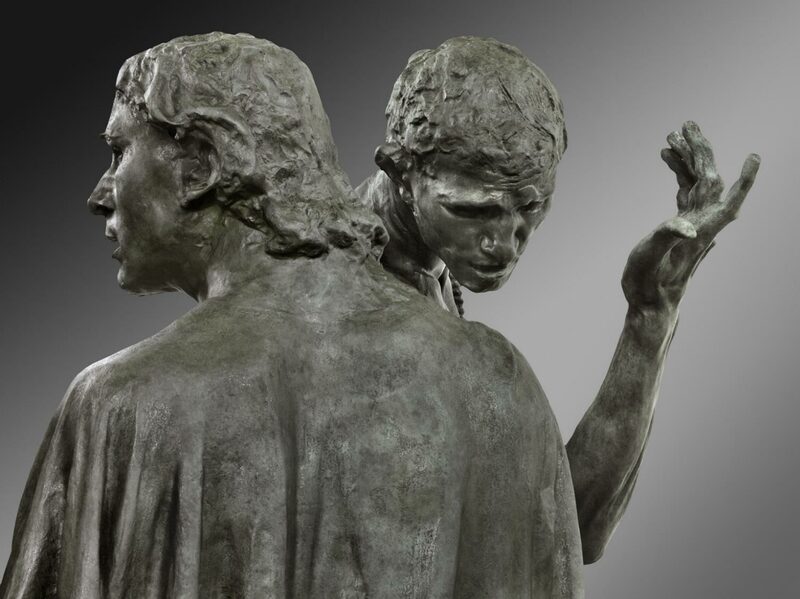 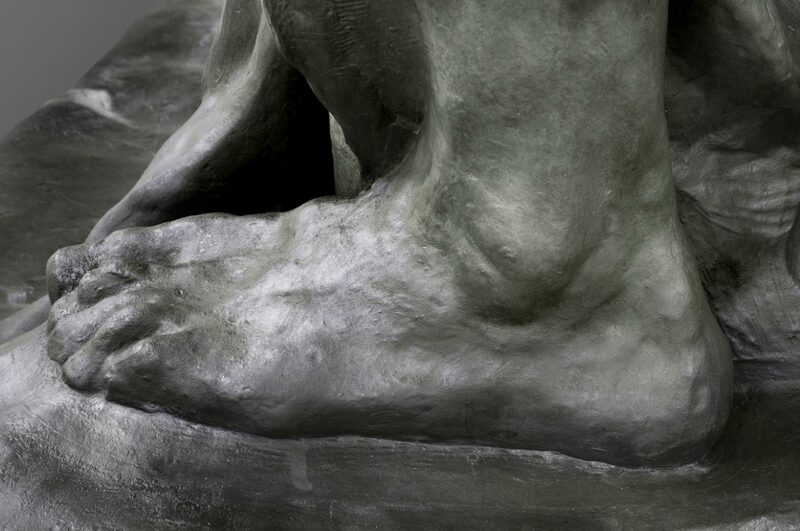 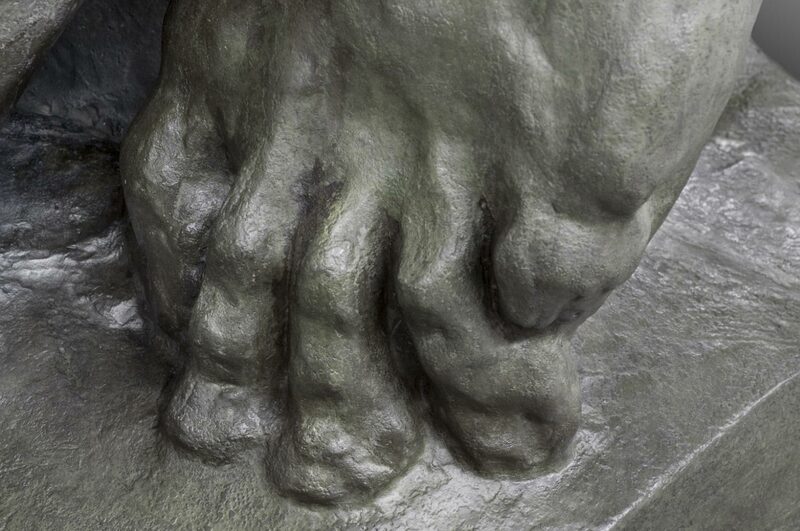 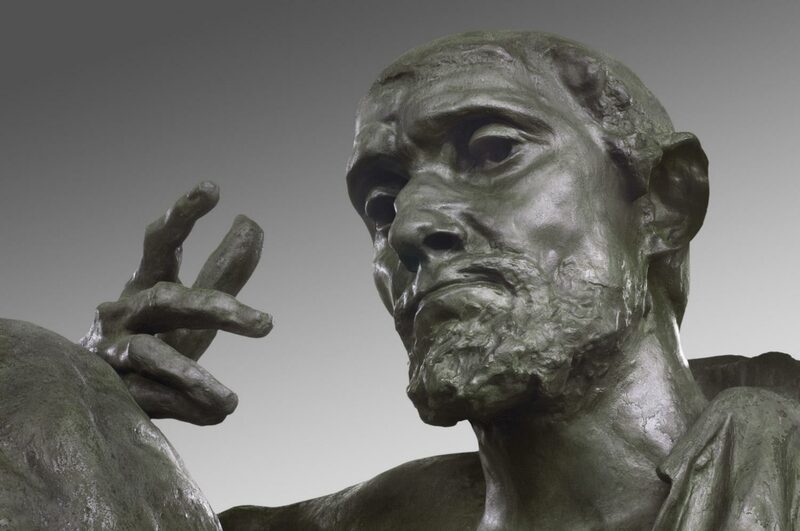 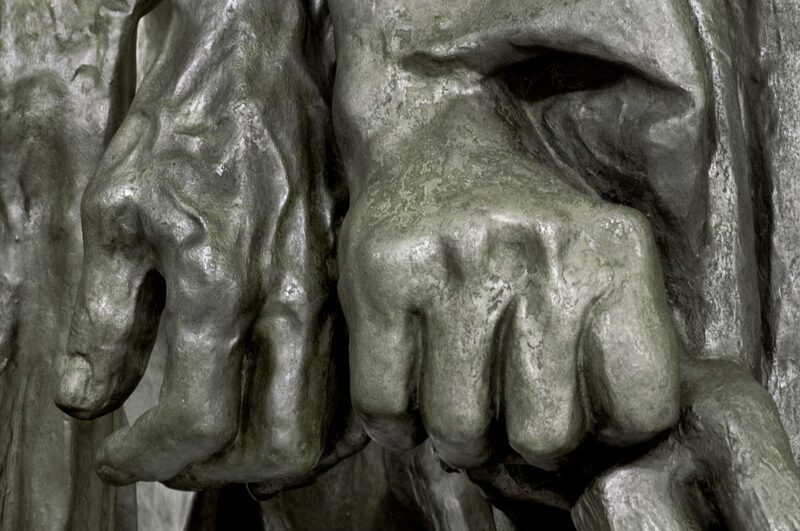 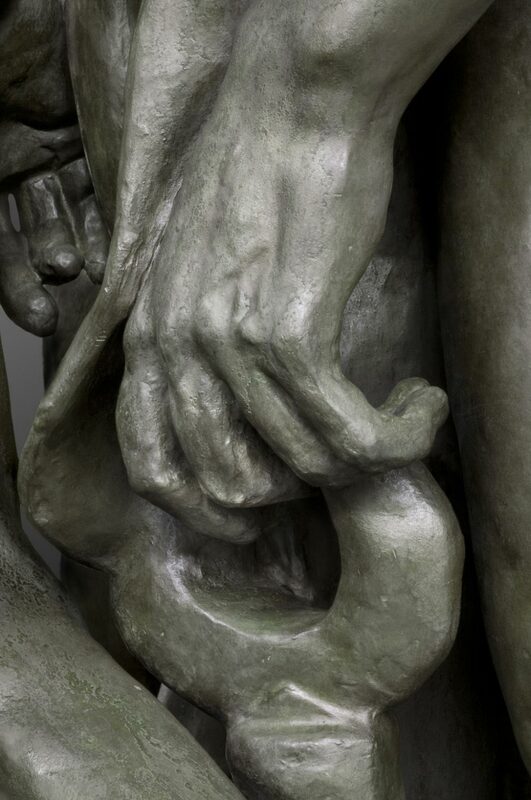 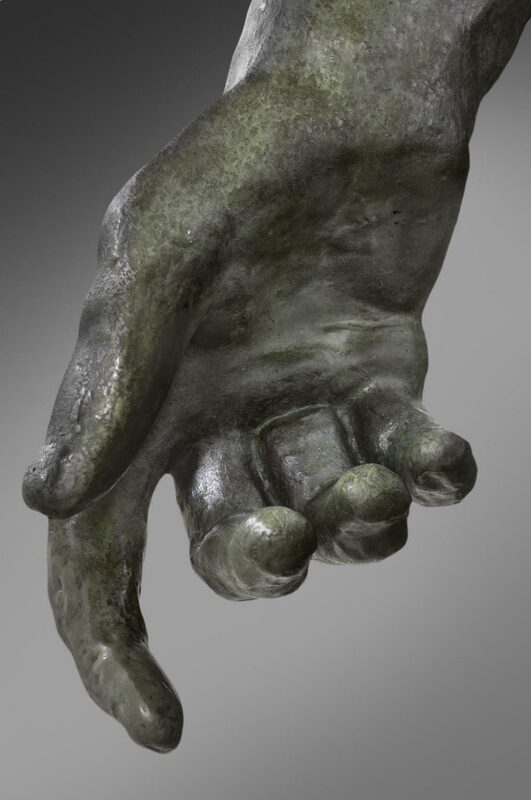 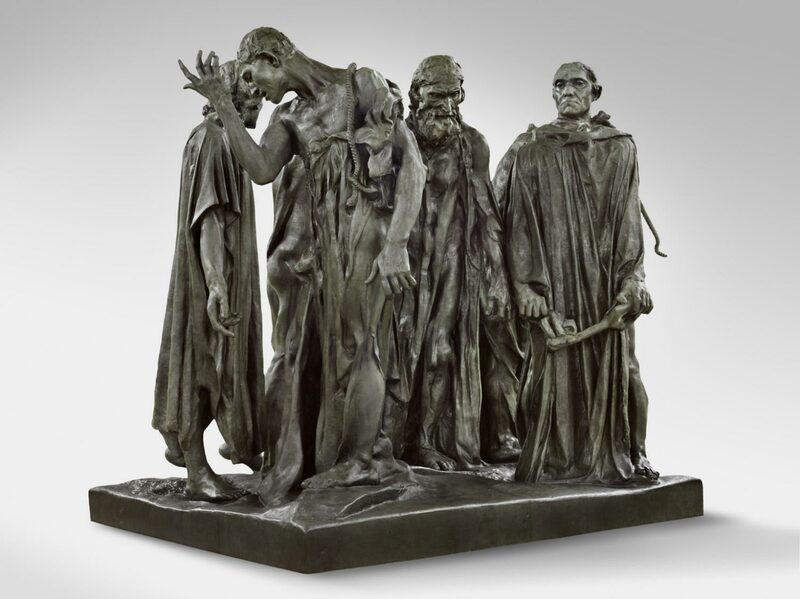 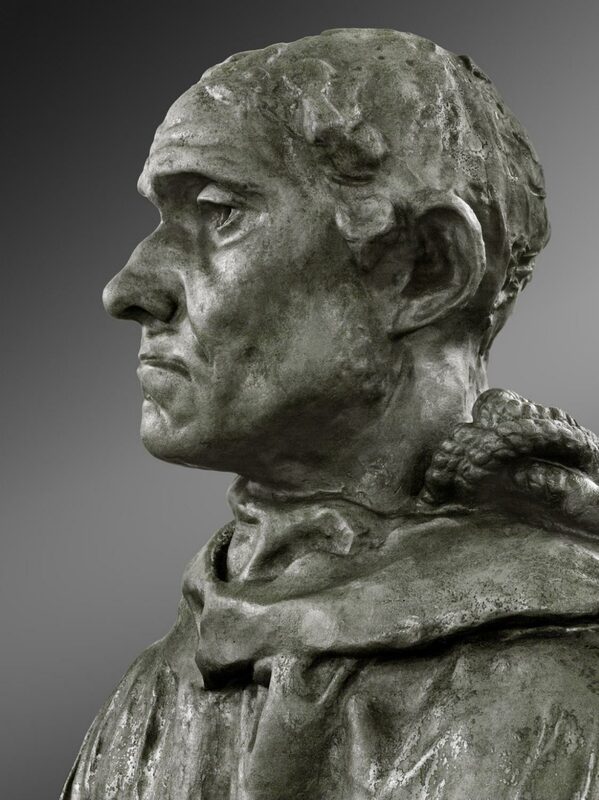 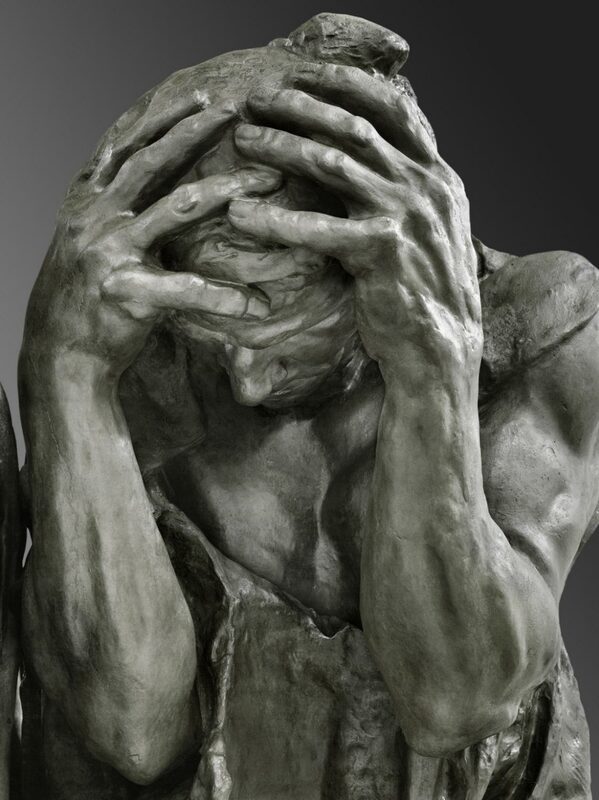 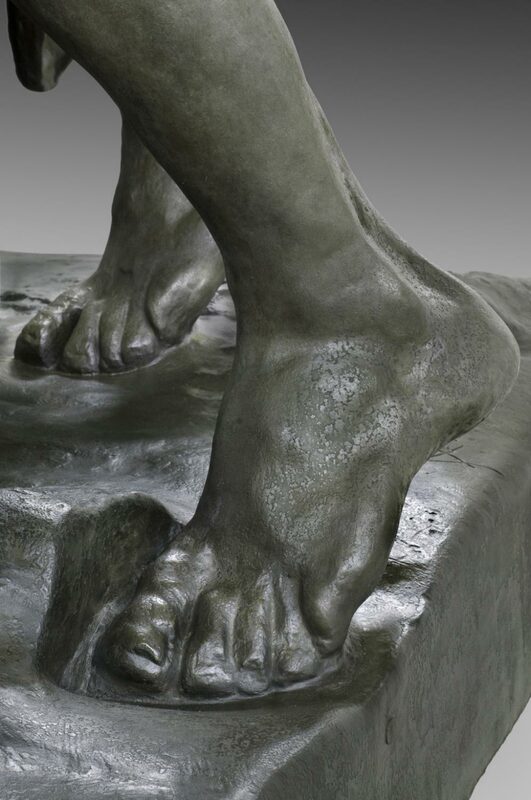 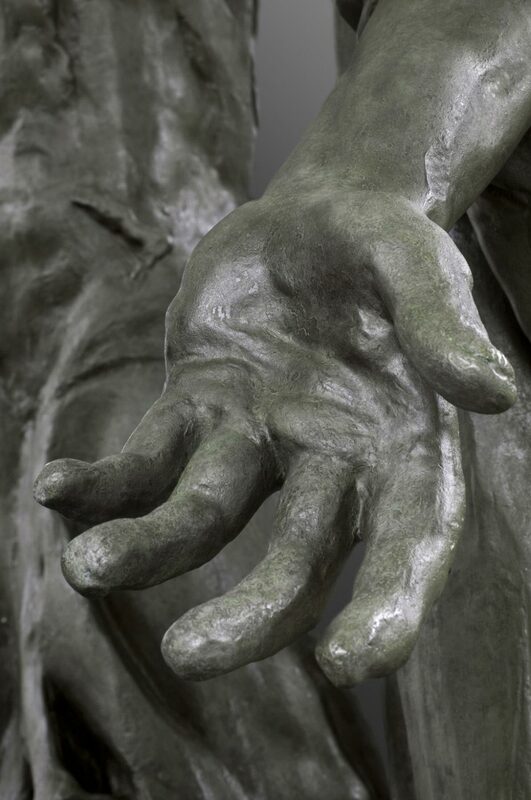 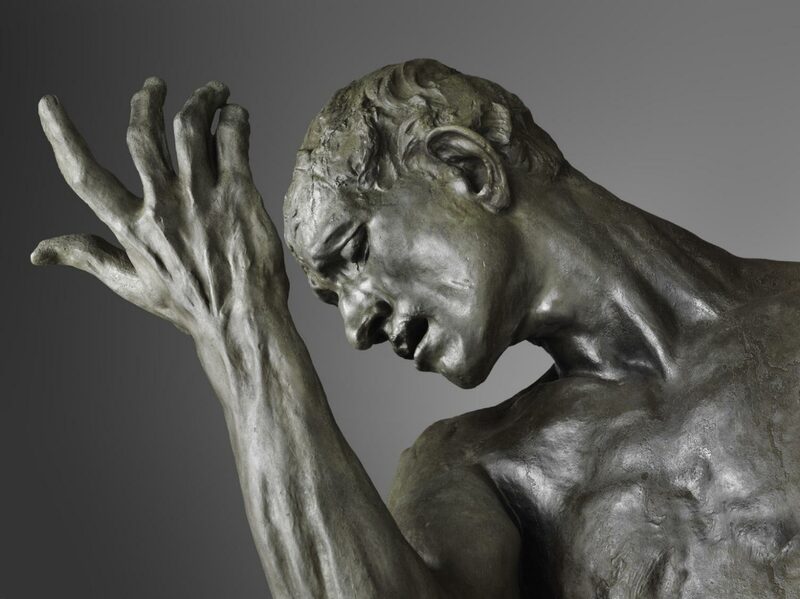 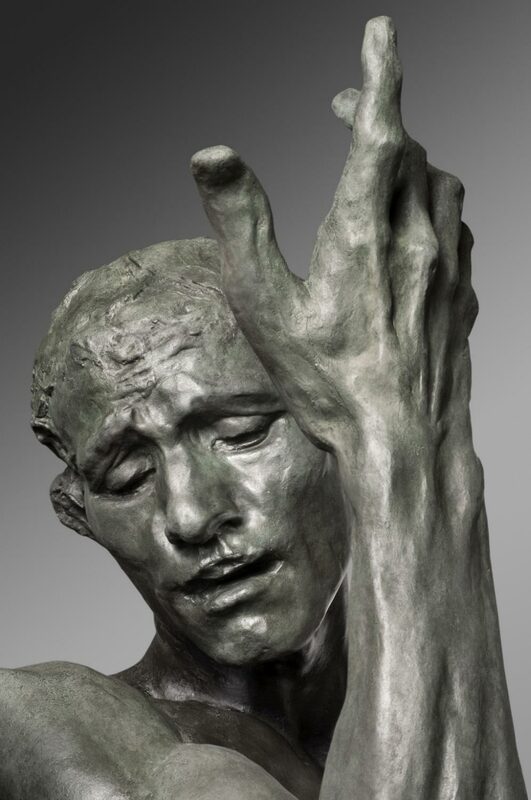 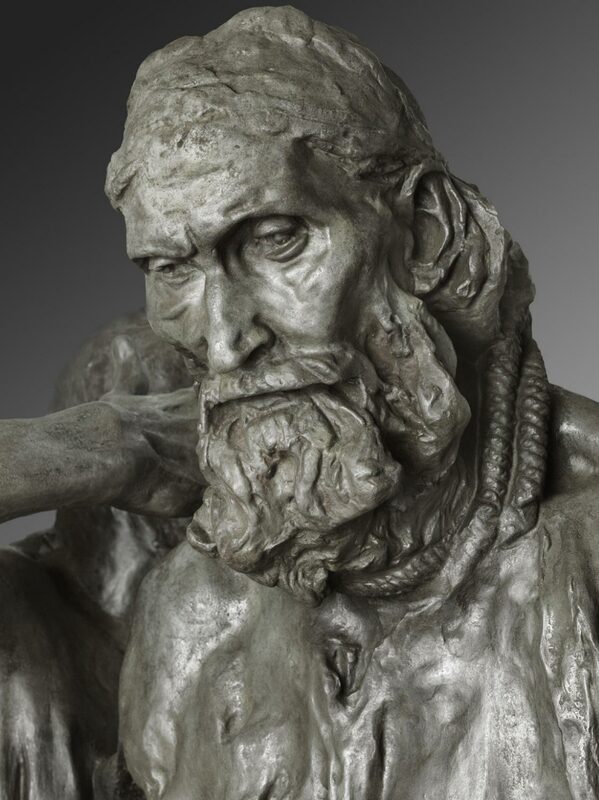 For the monument honoring a group of prominent French citizens from medieval Calais, Rodin chose not to focus on their leader but to present six men on equal footing, each with an individual expression and interior drama. 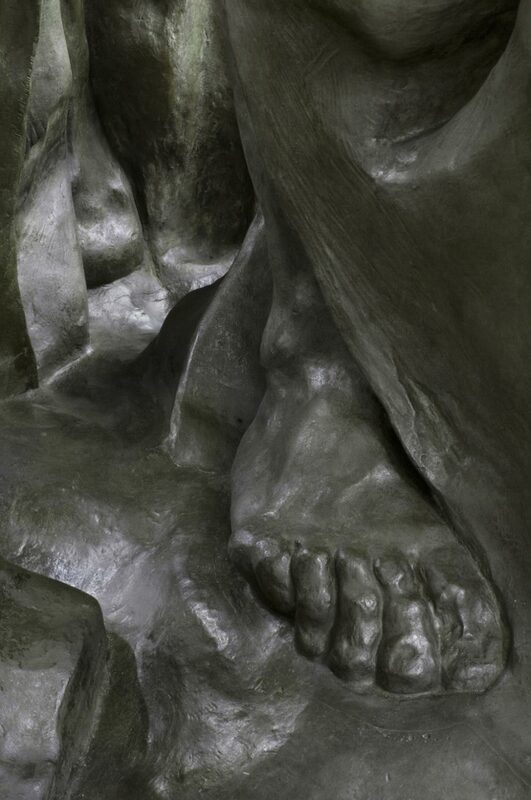 In addition, the six figures do not face the same direction and are best seen from different angles, forcing the viewer to walk around the sculpture.